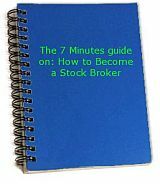 Here at all-about-stockmarket.com, I will always be here for you. I value your feedback, opinions, comments and/or questions about our website. If you have comments or questions, or if you would like to report a problem regarding the all-about-stockmarket.com website, a broken or outdated link, please let me know by writing to me. Please note that all-about-stockmarket.com has no control over the operation or content of the sites that we link to.